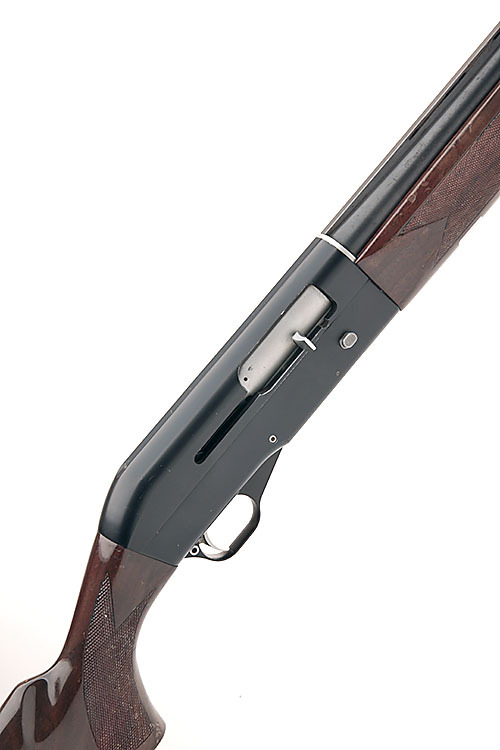 KAWAGUCHIYA FIREARMS CO. 12-BORE SEMI-AUTO SHOTGUN, serial no KF106172, restricted magazine, 27 3/4in. nitro barrel including screw on choke (no spares) with 6mm ventilated matt rib, 2 3/4in. chamber, 14 1/4in. pistolgrip stock including buttplate, weight 7lb. 4oz.